An ideal choice for entertaining. 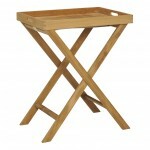 Use the rectangular tray for passed hors d’oeuvres, or set out on the collapsible stand for guests to help themselves. 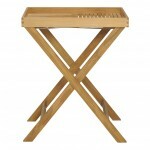 The Teak Tray & Butler stand are crafted from golden premium teak and suitable for use indoors or out.